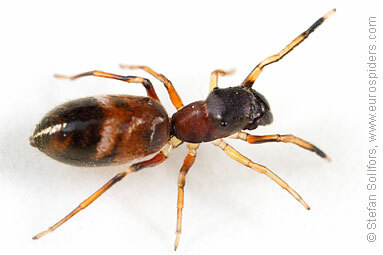 Female Myrmarachne formicaria from above. 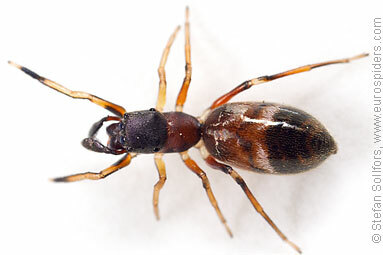 Female Myrmarachne formicaria, side view. 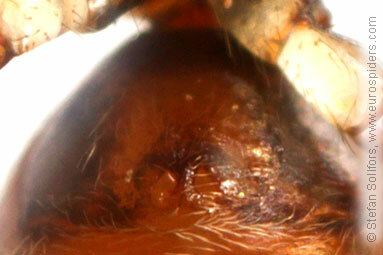 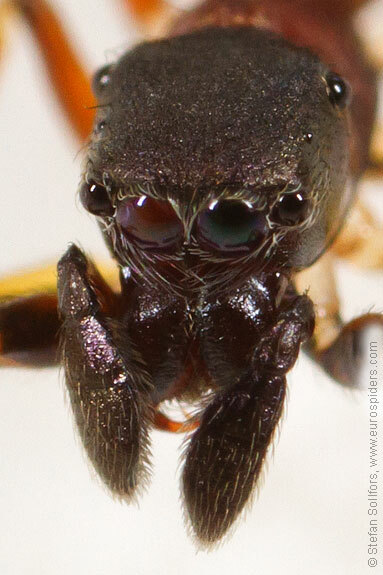 Female Myrmarachne formicaria, head-on view. 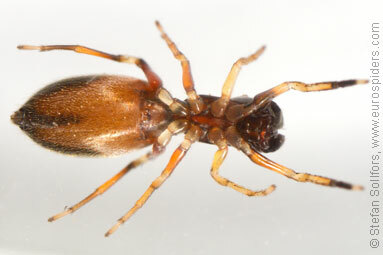 Female Myrmarachne formicaria from below. 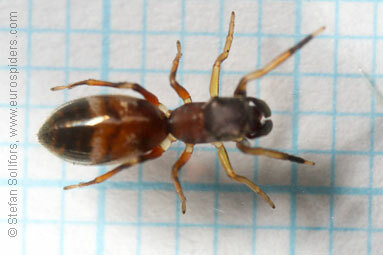 Female Myrmarachne formicaria, about 5.5 mm long. 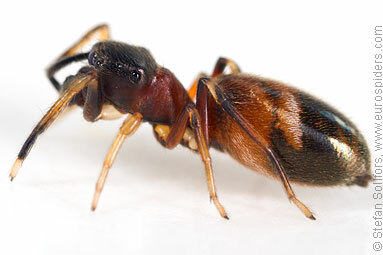 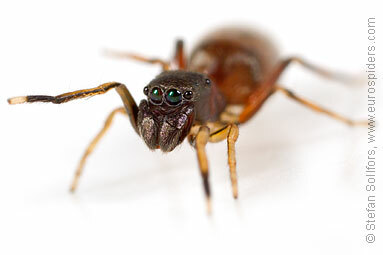 The Ant-jumper, Myrmarachne formicaria. 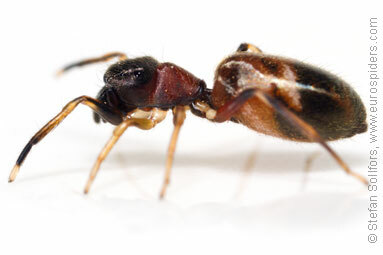 The spider is camouflaged as an ant. 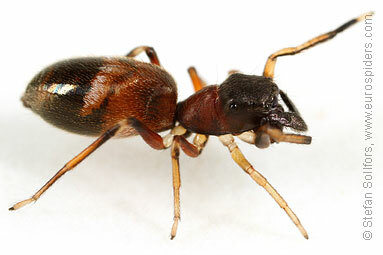 It moves like an ant and holds up its front legs so it look like antennas of an ant.